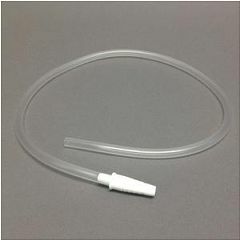 Specially designed for use with self-cath intermittent catheters connects easily to color-coded funnel to provide extra length when necessary. Non-sterile. As a long time consumer this is a good purchase. can't think of any cons. Discreet. additional length allows . add length to caths . There is not enough space on your other questions to answer. The extension allows me to stay in my wheelchair and cath with the additional lenght to reach the toilet. Maybe sometimes even other places. I've used these for years on my intermittent catheters since I had my stoma put in 20 years ago. They fit securely in the colored end of the catheter and are the perfect length even if you can't get your chair right up next to the toilet. I do try to replace them regularly since they become discolored over time with continued use, but Allegro makes it SO easy to do. Has made it easy to reach and drain when I can't get close enough to the toilet. what size to connect to leg bag for for 29mm catheter intermittent cath? These extension tubes work well with Coloplast intermittent catheters but NOT with the Mentor brand catheters. I haven't tried any other brands. I don't know how it would work with a leg bag. Hi, We don't use product 'men475' with a leg bag. We use it to self cath along with product 'men414'. This combination has worked very well for us over several years now. We clean them after every use and this we believe has prevented bladder infections. It would be hard for us to switch to another method. Answered on Jan 6, 2014 12:49:47 PM by Martym00se from St. Louis, MO. I am very excited to say that I got the stroller yesterday! And I used it yesterday and today! I was going to send you a picture, but I can't actually figure out how to do that! So this message with have to do for now. Thank you immensely for your work on this. You said you escalated my request for the stroller - escalate this message also. Thank you for providing me with a name and contact information so there was someone actually responsible for this at your company! That is the best anyone with a customer service job can do to make an unhappy customer a happy customer - contact and follow through. Awesome!